In 1994 over the span of 100 days, nearly a million Tutsi were killed in Rwanda. 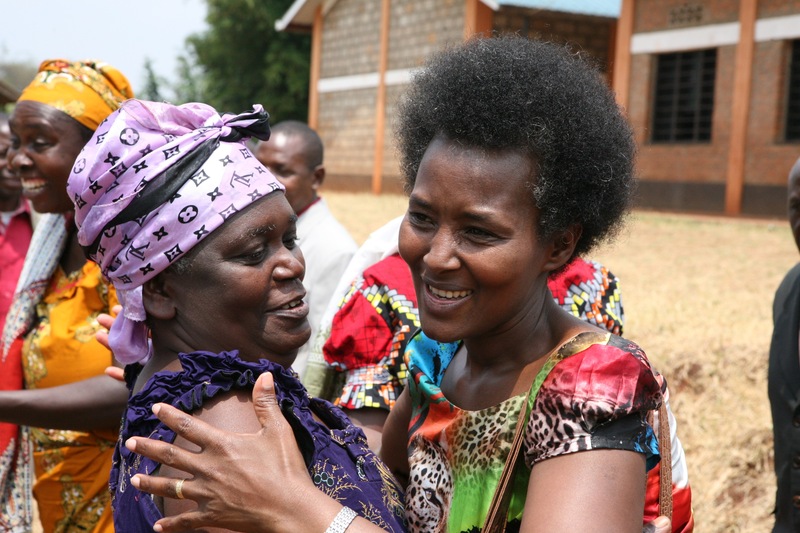 After finding personal healing and forgiveness, author Denise Uwimana turned her extraordinary experience as a survivor of the 1994 Rwandan genocide into a personal mission to provide material and spiritual assistance to fellow survivors. To mark the 25th commemoration of the genocide, Uwimana recently released the moving memoir “From Red Earth: A Rwandan Story of Healing and Forgiveness,” where she recounts her story of survival and continuing efforts to restore her country by empowering Rwandans to band together, find healing, share their stories, and rebuild their lives. Join us for a special program with Denise as she shares her testimony and discusses Rwanda’s turbulent history and the projects and programs established to promote healing, renovation, and community building in the region. The evening will include a Q&A session. Following the program, Denise will sign copies of her book “From Red Earth: A Rwandan Story of Healing and Forgiveness,” which can be purchased through Amazon, Barnes & Noble, or IndieBound, and will be available for purchase at the event through Magers & Quinn Booksellers. Sakina Denise Uwimana-Reinhardt was born to Rwandan immigrant parents in Burundi. She later moved to Rwanda, where she met her husband, Charles. When she was 29, she survived the Rwandan genocide of 1994 with her three sons; however, her husband was killed. For the past three decades, Uwimana has worked for Iriba Shalom International, a charitable organization she co-founded to help Rwandans gain new perspectives by promoting reconciliation and forgiveness, and she recently released her memoir “From Red Earth: A Rwandan Story of Healing and Forgiveness.” Uwimana remarried and now lives with her husband, Dr. Wolfgang Reinhardt, in Germany. Together they continue to work for healing in Rwanda. Global Conversations in Minneapolis is presented in partnership with the Friends of the Minneapolis Central Library and the Hennepin County Library – Minneapolis Central.